At this years Magento Live, the theme of the event was how traditional brands were using technology to drive experience-driven commerce. For example, if I was to ask you your opinion or what you know about Rossignol, I suspect you would say something along the lines of French manufacturer of Skis, snowboards, as well as related outerwear and accessories. But not necessarily think about technology. This is what is so interesting to me and a great example of how tech is not only transforming our lives, its every business and every industry. 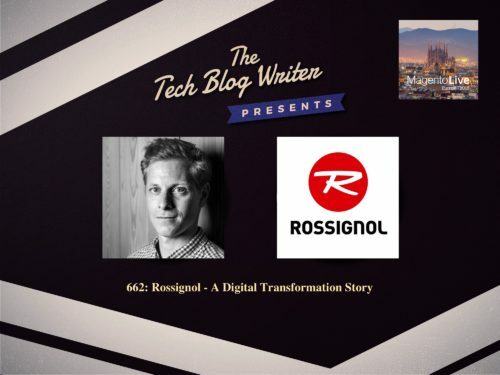 Damien Hars is the Head of Digital Marketing & E-commerce at Rossignol and shared the stage with the Magento and the Adobe CEO in a game-changing moment that suggested to me at least that experience-driven commerce just became everyone’s business. The promotional video that followed was a clear indicator to me of just how much tech is changing the business landscape. It no longer matters the size of your business or how much money you can throw at something. It’s about creating meaningful experiences and being able to move much more quickly and adapt. Big businesses are struggling to keep up the pace with legacy systems and the shackles of their internal processes and phrases like we have always done it this way.